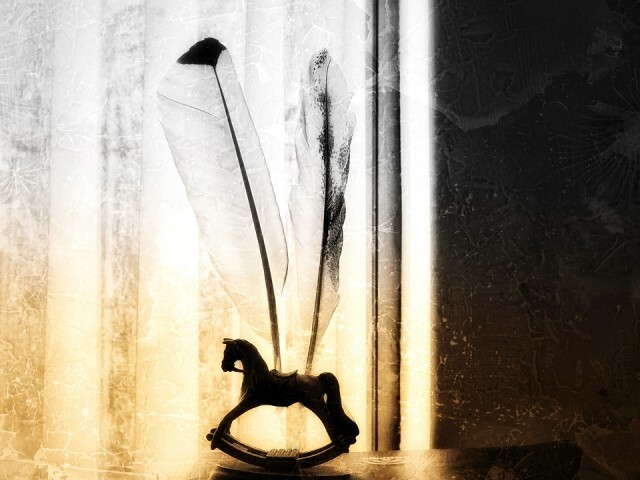 A rocking horse with feathers, yes two of them because thats what Deuce means. When i was a child I had a big rocking horse and i always wished it could take me flying up into the sky on a grand adventure! Rocking horse is part of the Op Shop collection and the feathers are from the local birds! Toto has been to the vet today and they quickly discovered that he has a problem with his dog ‘knee’!! Initially they have put him onto anti-inflammatories and some pain meds and said no walks for a couple of weeks and he must lose a bit of weight! Its a wait and see situation and i’m really hoping with a bit of rest and hopefully a little bit of weight loss he will be ok.